It's going to be a big year for balls in 2017, with a raft of new ones hitting the shelves vying for your attention. 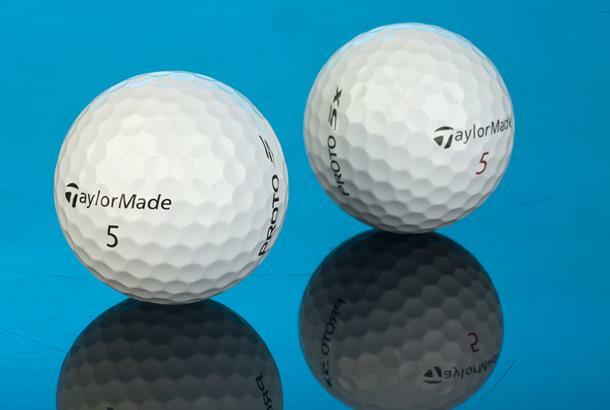 One way they do that is through tour success, and with the likes of world No.1 Jason Day, No.3 Dustin Johnson, plus Sergio Garcia and Justin Rose all switching, TaylorMade hopes its new TP5 and TP5X balls will stand out. The tech story is certainly compelling – as are some of the off-the-record numbers we've seen from tour players who've tried it (think less spin off the tee, more spin around the green). TaylorMade says the holy grail of ball performance has been achieved using a five-layer construction, which features a new three-piece "tri-fast" core (delivers maximum energy and expansion on full shots) and a dual-spin cover (lets more of the urethane engage with the grooves on shorter shots). And for once they reckon you don't need a launch monitor to see the difference. They've tested the new balls with their tour players and to a man each has wanted to put it play before they've even been launched. Sergio said it took him six shots to make the decision, while Jason Day said it made his current ball feel "outdated." There's two models, which cover off golfers who generate extreme club speeds (like Day and Johnson) as well as those who demand extremely soft feel. Expect to see them arriving in golf shops from March 1. RRP: £49.99 per dozen. It sounds quite hard compared to some soft compression balls on the market, but its core ranges in compression from 16 - 44 from the centre out. A softer overall feel for the TP5 means a slight trade off in distance with both the driver and irons. Not everyone wants to hit iron shots higher, so the TP5 launches a little lower and spins more than TP5X, which is perfect if you need maximum control on approach shots into greens. It's TaylorMade's softest tour golf ball, so it's natural it offers the most amount of feel thorough the bag. Many club golfers though won't feel the difference until they make it to the green. It's harder than the TP5, but its core ranges in compression from 25-55 from the centre out. TaylorMade says the TP5X adds 7-8 yards off the driver, and in their own tests it's longer than the market leaders when it comes to 5-iron distance. The slightly harder TP5X launches higher, but also spins less so there's reduced drag which means it flies further. It's no surprise so many of TaylorMade's players want them. The lower spin properties of the TP5X come with a very slight trade-off in feel. TaylorMade reckons wedge spin is the same for both new balls, but the TP5X will feel a little firmer off the putter.